As you may know I am mainly a dirt track fan.I only say this to support what I am about to say.The four races at C.C.Speedway this season were some of the most entertaining there in some time.The race formats were spot on and run very smoothly.But the main thing I noticed was the comraderie that seemed to be in place there.Walking through the pits after the races you see the fans and race teams interacting and from what I saw with happy faces.The on track product was good.The atmosphere was good all around.The special things by track personel were done very well for whatever it called for.I've been around race tracks a long time granted mostly in the stands.And I have a good feel for sensing when a track is on a up or down.Let me tell you CCS is on a definate up.The racers there are pretty passionate about the place.And they delivered with good car counts all four times.The fan count wasn't bad either.I know it can be a pain operating a track.But I hope CCS can go to at least 6 races next season.The race teams proved their support.With the teams come the fans.At any rate thank you Mr. and Mrs. Monroe and the staff at CCS and all the racers for all you did this season.It turned out to be a pretty special season and I will be looking forward to whatever CCS has to offer next season. Very well said. thanks for coming out to watch. The Monroes are racers. They love the sport and stepped up when no one else would or could. We all owe them a huge thank you and our continued support. It's the easiest thing in the world to bash a track or a track promoter. Nothing too it. There's no such thing as a stock car track that pleases everyone every time. It's impossible. Especially when you're dealing with strong-willed folks like stock car racers. Just about every racer in the world knows exactly how to run a track and if it's not done that way, well, the promoter is a blankety-blank. Here's hoping CC Speedway continues strong into the future. A big thank you to the Monroe family for their continued efforts in keeping asphalt racing alive in the Corpus Christi area. Hope that your plans come together as soon as possible pertaining to next year's plans. Once again thank you for all of your efforts from DCRST. Thanks for having the track open for us to do what we enjoy doing hoping the 2015 season is as much fun as the 2014. Sincerely hope the 2015 season will be a good one. We'll be coming down for what I expect to be some great racing and great fishing. Really enjoy being down there!! Hey Nick all promoters are blankety-blanks but it's because us racers turned them that way. I'm glad they tough it out and keep these tracks going. 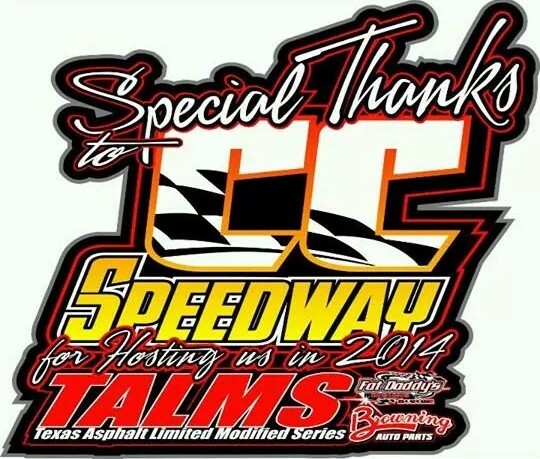 I would like to personally thank Dan & Kandy Monroe for allowing TALMS to be a part of the 2014 CC Speedway season! It turned out to be one for the record books! Looking forward to what 2015 has in store! Just gotta use the right bait.. That and redfish!! All Texas Pro Sedans drivers, crews, officials’ sponsors and TPS fans appreciate all the past racing seasons in which CCS and TPS have faithfully enjoyed a mutual race agreement. In 2015 and beyond, TPS hopes to negotiate another agreement with CCS. Welcome back Dan and I hope those six dates aren't while I'm on call at work lol. See you all soon. Dan, any time table for when the schedule will be released? Thanks a bunch for keeping CCS a alive. My pops took me there back in the 80's when I was a little guy and I have brought my little ones there twice, once racing and once in the stands. 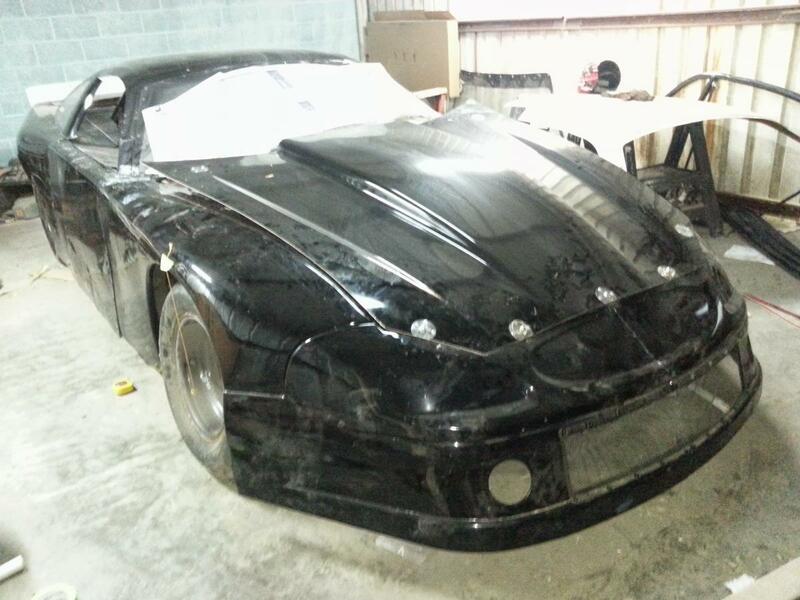 If you have a pro mod race there next season, I am in.